It’s easy to get involved. 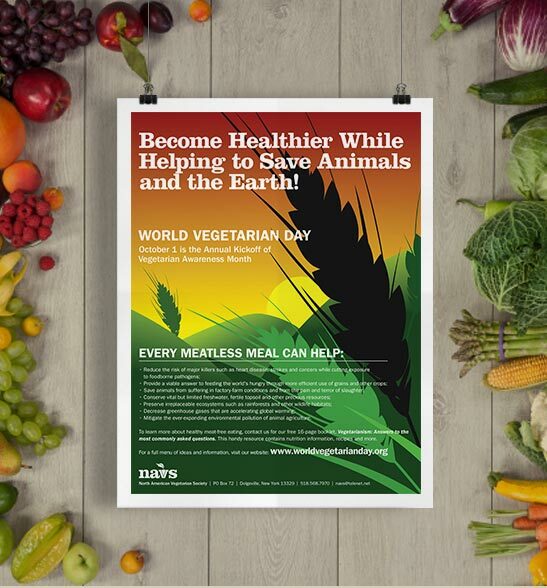 Display our free, colorful, informative poster in your community. You can post it at a local store, office, coffee shop, library, school or other suitable location. Use it as a great way to start a discussion about the benefits of vegetarianism with the people in your life.